Yesterday I took my 12 year old to see The Maze Runner based on the popular young adult fiction novel by James Dashner. The Maze Runner series is yet another futuristic scenario that depicts a devastated Earth and a near end of the human race. I've read the entire collection, four novels which includes a prequel, along with my son not only because I enjoy this genre, but primarily because I like to know what my children are reading and the discussion that ensues provides a great way to connect with them. First off, let me reiterate that this review is not solely to critique the actual film adaptation, although, I will briefly discuss that as well. It is, for the purpose of this blog, to make you a more informed parent so you can decide if it is right for your family. The film is rated PG-13 and, as I've said in previous reviews, only you know what your child can and cannot handle. It is my personal stance, however, that if your middle-schooler (or older) wants to see this film, they should have to read the book first. Not just because of the theory that "the book is always better," but also because they will benefit from the more detailed narrative as provided by the author and it will help fill in the gaps. Besides some mild language, there is very realistic and raw, testosterone-driven violence along with several very intense, scary scenes, particularly involving Grievers - homicidal, robotic bugs the size of small cars. They are definitely enough to cause nightmares for younger viewers, and even my son admitted, they freaked him out. The movie was generally true to the book with the expected amount of tweaking and, of course, condensing - okay, maybe too much condensing. This seemed to bother my son more than it did me because I've learned to expect this. The main problem I had was neither the characters, nor the plot of the story, fully develop as they do in the book. However, I did not feel any changes made were detrimental or critical to the overall story line. The movie is perhaps nothing more than Cliff Notes for the book. Regardless, the film was virtually non-stop action and suspenseful. When the early trailers were released some months back, I was disappointed with some of the casting choices. However, I was pleasantly surprised with most of these predominately unknown actors. My favorite performance was delivered by English actor, Thomas Sangster who played Newt. Probably the best part of the production was the set design as it was a near-perfect interpretation of The Glade and The Maze as described by Dashner in the book. Overall, I feel readers of the series will enjoy the film version. It is nothing brilliant, but then again, neither was the book. It is an entertaining movie that I would recommend for middle and high-school students who have taken the time to read it first! My son and I are both curious, however, how viewers who have NOT read the book will like it. If you fall into this category, please let us know your thoughts. No, we don't get the brilliantly colored foliage or the cool, sweater weather. But those of us who live in South Florida can still make the best of things and enjoy the traditions, flavors, and colors of the season. Here is a list of some of my favorite things about autumn - Florida style. 1) Pumpkin flavored everything: You know what I'm talking about. Muffins, bagels, PIE - you name it. And, nothing gets me in the fall mood more than a pumpkin latte from my favorite coffee shop! 2) Pumpkin patch: an annual tradition even before my first son was born. My favorite activities include my sons measuring themselves on the 'How Tall this Fall?' pumpkin growth chart and picking out lots of tiny pumpkins and gourds that will serve as my centerpiece and, undoubtedly, last until after the New Year. 3) Halloween: candy, spooky decorations, and jack-o-lanterns. 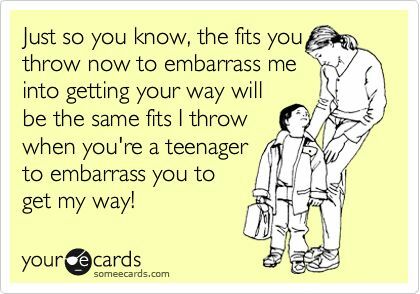 AND, not once have my children ever had to wear a jacket or coat over their costumes. Although, there was the year trick-or-treating was postponed several days due to a hurricane...... such is the risk in FL. 4) Fall fashion colors: shades of orange, brown, and scarlet. Although, I may not be donning these colors via sweaters and corduroy slacks, my toenail polish, still visible in my flip flops, more than makes up for it. 5) Garden makeover: that's right, I'm talking MUMS in hues of yellow, rust, and orange. No fall garden is complete without some, even if they don't survive too long under the FL sun. 6) Cooler temperatures: Goodbye 90 degree weather - well, usually. While 83 degrees may not seem like jeans and sweater time to you, you can't fault me for faking it! I might even wear socks occasionally. 7) Eastern Standard Time: Nothing signals the holiday season more. Call me odd, but there is something very cozy about darker evenings. 8) Colored leaves: or the hunt for them anyway. Some years we are lucky enough to catch a glimpse of autumn leaves. Sure, they can't compare to New England, but I'll take what I can get. 9) Thanksgiving: Turkey, sweet potato pie, and family - what more could I ask for? 10) End of hurricane season: November 30th may not be significant to most, but to South Floridians it marks the end of hurricane season - just in time for the Christmas rush. It's been approximately one month since my sons have returned to school and I officially became a full-time, stay-at-home mom. Are my days what I thought they would be? Am I spending the time investing in my own personal growth? Am I exercising, meditating, and volunteering as I had hoped? What about friendships - am I getting together with friends as planned? I figured if I held myself publicly accountable, maybe I will make myself accomplish what I set out to do during this temporary hiatus from employment. First, let's get to my setbacks -or epic failures as my sons would call them. I have NOT increased my workouts. In fact, I haven't worked out in weeks. Not quite sure what's to blame. I do have the time. I think my brilliant 12 year old was right again! I just got bored doing the same old workout routines at home (treadmill, sit-ups and the sort.) Ok, so really need to do better in this department especially since the holidays are coming up!! I also haven't really done anything to explore new avenues. I haven't signed up for any classes, whether it be photography or yoga, and I haven't really explored any new interests. However, let's take a look at what I have accomplished in my first four weeks. I HAVE done the volunteering that I wanted to (both at my sons' school and the animal shelter) and I have done lots and lots of reading. I also make it a point to get together with at least one friend for breakfast or lunch each week. This has been beneficial on so many levels. I get to talk with another human being during the day AND that person is an adult, double bonus! We exchange ideas, frustrations, and successes. I have also completed many small jobs around the garden and house that would have still been on the back burner if I was working. I have started meditating, but not as much as I would like, but I'm working on it. And, after the initial chaos of the first week or so of the new school year, I now feel like I am getting plenty of me time. The one thing I have implemented into the daily routine, which was really a struggle when I was working outside the home full-time, is proper, family sit-down dinners. When I was working, it was all I could do to throw some nuggets in the oven and serve them up on the counter to my sons while I packed lunches for the next day and tried to clean up around the house. I designed an afternoon schedule for my sons which allows everyone amble free time while giving them designated times for reading and homework - and we are successfully sticking to it. I am getting in the groove of my own new routines as well and no longer have household chores, errands, or grocery shopping to do on the weekends. With all that said, where do I go from here? In the next month, I would like to see myself continuing to build connections with friends and, possibly look into a fun class at the community center. I plan on continuing to do volunteer work, finish some other small household projects on my list, and increase my meditation sessions. I also must, no MUST, get back to exercising. Am I forgetting anything? Alright, I'll check back in in a few weeks. I'm not quite sure how this well-known, award-winning author has escaped my radar for so long, but thanks to a "New eBooks" listing on my Nook's library app, I found this gem. 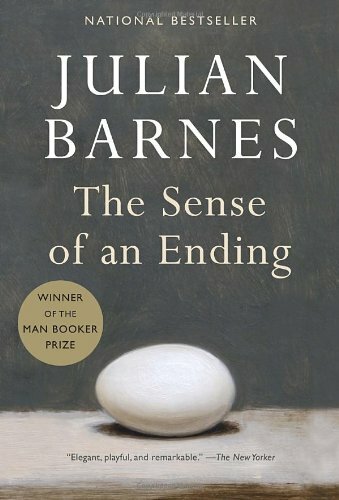 The Sense of an Ending by Julian Barnes is about Tony, a 60 year old man who, due to bizarre circumstances, is forced to take a look back at his life and reexamine the person he believes he is. In all honesty, this title actually came with a one-star recommendation for me. But, the description caught my attention and I took the chance. I could not put this book down. I was completing intrigued by where this story was going. I found myself sneaking off to the bedroom, away from the mayhem of motherhood, to continue Tony's story. This witty, highly-intelligent novel focuses on the concept that life is about perception, not actuality. In other words, it is our personal interpretation of the events in our lives that affects who we are and how we see ourselves. Often, this view of ourselves is very different than the image others have of us. Part of our self-preserving nature as humans is to adapt memories to conveniently fit our lives, or the lives we believe we are living. Do we truly remember events only as they are suitable to us? Suspenseful and beautifully written, the story will captivate your psyche and urge you on to the next page as it takes you back some 40 years to try and piece it all together before Tony does. I look forward to reading more works by Julian Barnes. My baby turns five on Monday - no longer a baby to others, but will always be MY baby. I recently ordered his school uniforms for Kindergarten which he begins on August 19, just two days before my oldest turns 7 and enters the second grade. How fast those 7 years went as well. I am so fortunate to have spent these early years at home with them and now work at the school they attend. My sons and I often talk about the times when they were babies. Like tonight, they both got a bit too much sun at the pool today, so I rubbed some lavender lotion on their backs after bath. I mentioned to them that I used to do that every night when they were babies. My oldest said it felt familiar. My youngest just giggled because the application tickled him. How quickly simple moments become such sweet memories in our lives. My hands smell like a baby now because of the lavender lotion. I need to use this stuff more often! Probably the best parenting advice, but often the most difficult to follow, is to allow children to make their own mistakes. Making mistakes enables children to learn valuable life lessons and helps them make better decisions later on. However, one area where parents often fail in this regards is schoolwork. 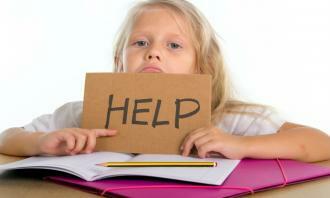 How many times do you assist your child with his homework? I've known some parents who say they've gotten so frustrated they end up just completing the entire assignment themselves (think science fair project!) This is setting a very bad precedent. There are so many things wrong with parents doing their child's work. Of course, there are the obvious issues - the child isn't actually learning the material AND you are fostering laziness. But, most damaging is the message it sends to your child. By giving answers or actually doing the project for him, you are inadvertently telling your child that his work isn't good enough. In essence, that you don't believe in his abilities or in him! By completing his own assignments, your child will establish a solid work ethic, learn responsibility, and develop time-management skills - all of which are crucial to being a successful adult. Of course, explaining a concept to your child is different than doing the assignment for him. However, if your child repeatedly has trouble understanding and completing work independently, I suggest you schedule a conference with the teacher. In general, younger children will require some guidance, but give them space and avoid sitting down with them while they do their homework. It is fine to review their finished assignment and, while doing so, emphasize all the things they did right. It's even okay to point out errors - but make them do the corrections. (Tip: for math have them find the error!) The one aspect of homework I DO recommend you supervise carefully, particularly for younger children - is Internet research. Depending on age, just being in the same room as your child is usually sufficient. Teaching them how to phrase their Google searches is great, but beware. One misspelled word or wrong domain and you might have inappropriate material popping up. Last year, craving his independence, my older son no longer wanted me to proof his essays. It was pure torture for me, but we both survived. This year he lets me look at his work, as long as I don't comment on it. In other words, if I don't have anything nice to say, I must keep my mouth shut! Trust me, I know how difficult it is to not intervene, I'm still guilty of it occasionally. But, I'm learning to just grit my teeth and bear it. This means on occasion I need to simply permit my sons to turn in something that I consider, how should I say this, atrocious! Just tonight I had to explain for the umpteenth time what plagiarism is to my younger son. He just looked at me with a blank stare. He couldn't care less, his assignment was DONE! I handed the work back to him, but I'm secretly hoping his teacher nails him on it. If so, lesson learned! Read more of my Personal Favorites. I truly love to garden. I love pulling weeds, pruning, raking leaves, and watching the flowers bloom. I even love the way the little lizards stalk me when I'm digging in the dirt revealing beetles and worms that they can easily scarf down. It is, however, just a hobby. I will not be having any prize winning rose bushes in my near future. Unfortunately, however, Florida is a tough climate to keep flowers alive in. It's either too hot or too wet; too dry or we get an unexpected frost. It seems as if the weather never cooperates. If I remember to water, we get a heavy rain immediately afterwards. If I count on the rains to come, we go through a week of zero precipitation. I can't seem to win! Yet still, several times a year, I diligently head off to the local Home Depot to buy new flowers and plants. After years of spending money on annuals, I decided only perennials for me from now on. Some I like to put in pots; others I replant into the ground. Several months ago, I tore out a large section of Mexican petunias. My goal was to put in its place all native FL plants and flowers specifically ones that would attract butterflies. It took several weeks and I never did get all the roots. Hence, new sprouts pop up all over my NEW garden on a regular basis. But despite all my efforts, I still can't seem to keep my garden colorful and beautiful. My son, who has become quite the junior gardener thanks to his school's very large "Edu-Garden," informed me that the reason my plants die is because I simply don't water them enough. Then, being the wealth of information that he is, he told me I should put hay down on top of the soil. COASTAL hay to be specific. The hay will stay moist long after the soil dries up providing water to the plants AND, get this.....helps prevent weeds!! Who knew? The only problem with this is I'm not sure how my Home Owner's Association is going to feel about me having hay all over my front yard! So, now, as I stare out my window at my dying and, honestly, drab garden, I wonder just what I have to do to keep my garden looking professionally groomed? Do I seriously need to spend the money on annuals every few months to keep things looking fresh? Or should I just do what my neighbor did and plant fake flowers in the ground? Hers never die!! In the last twelve months, I've read the entire Girl with the Dragon Tattoo series, Dan Brown's entire Robert Langdon series, The Hobbit (again! ), The Hunger Games series, the Divergent series, The Maze Runner Series, The Giver and Gathering Blue, The Cuckoo's Calling, The Casual Vacancy, and countless other popular and not so popular books. I read some non-fiction and even Billy Crystal's autobiography Still Foolin' Em. Some were on the N.Y. Times Best Seller list, others were self-published and offered on Amazon for 99 cents. There was even a Harlequin Romance novel or two thrown in just for fun. In other words, with my sons getting older, I suddenly had the time to read again! However, there was one book in particular that stands out because it really took me by surprise and quickly drew me into the world of its characters and their struggles. In the debut novel, The Search for Intelligent Life on Earth: A Story of Love, Gerry Pirani takes readers into the world of three young men struggling with their identities, spirituality, and sexuality. I was immediately drawn into the plight of each character. Their remarkable journey will have you re-evaluating your own life and demons. The story will take you from the farmlands of Kenya, through the nightlife of Europe, to the college town of Boston, and into the Plains of Montana. This book does deal with adult issues and, therefore, is being marketed to those 18 and older. There are a few homosexual love scenes that not all readers will be comfortable with. However, they make up a small percentage of the book. The gay relationship in the story really serves as a fascinating context in which to explore human sexuality, domestic violence, and mental health. If you're looking for a novel that will have you anticipating the next page and feeling a connection with the characters long after you've finished the book, I recommend you give this one a try. Personally, I'm already looking forward to the sequel! Before I begin, I am going to give you full disclosure. I am, by no means, versed in the world of Marvel. In fact, when my sons ask me if I prefer Marvel or DC I make them name the different heroes in each series - EVERY TIME! With that public humiliation out in the open, I can now say that I took my 10 year old to see Guardians of the Galaxy yesterday. Besides the Christopher Reeve Superman movies, one Iron Man movie (because I love Robert Downey, Jr.), and probably one or two Batman movies - Michael Keaton style - I don't typically go to these movies. For parents reading this who are as clueless as I am, the movie is rated PG-13. The determination of whether or not I take my sons to a movie has to do with the reason behind the rating. Fantasy violence and slight crude language is no big deal to me. So we were ok with this one, but each child is different and the decision to take your children to any movie is completely based on you and your family. There were kids in there under 4 but I know parents who wouldn't take their 12 yr olds to go see it. So again, it's a personal choice. The movie was about a group of misfits who become friends, and eventually heroes, because, yep, you guessed it, they save the Galaxy. Chris Pratt as Star-Lord is likeable and charming and sometimes downright silly - which was great. Zoe Saldana as Gamora offers a strong female heroine who is not only one hell of a fighter, but offers the others a sense of compassion. She also rocked in her green skin! Lee Pace as our ruthless and nearly invincible villain, Ronan the Accuser, was fabulous and unrecognizable in make-up. And who wouldn't love Bradley Cooper as the voice of Rocket (although it was halfway through the movie before I realized it was him!) and to me, the real hero of the movie, Groot, played by Vin Diesel. Guardians of the Galaxy is filled with space creatures, some a little spooky looking, high-flying and intense space fights and definitely lots of fantasy violence (ok, there are LOTS of explosions.) But, it also has a softness to it that was endearing. While some of the humor may go above the heads (that's a metaphor) of younger viewers, it added a mainstream component for those of us that aren't into the whole Marvel world. This movie isn't for everyone, and in all honesty, if my son hadn't asked to go see it, I never would have seen it. However, it left me looking forward to the return of these likeable characters in the sequel. My husband asked me the other day if I was happy with my decision to stay at home. I can honestly say I am. I am more relaxed and I'm hoping that is rubbing off on my children. For one thing, I know our afternoons run more smoothly and there are less melt downs - from my sons AND me! They no longer have to wait for me to finish up in my classroom after school and on early dismissal days or get dragged to my classroom on teacher work days. I am able to attend their school events if and when I want to. We are all more relaxed at homework time, and we're enjoying each others' company more, especially on weekends since I get all the cleaning and errands done during the week! However, I can't help but agonize over the fact that I missed out on all those years when I was working, when I could have been home with my sons. I know what they say about not being able to change the past so don't dwell on it, and I'm trying not to. However, I resent the fact that I missed out on school functions, had to drag my kids to school on their days off, and was exhausted by the time it came for me to help MY OWN children with schoolwork. I was never a room mom, never planned a classroom party, or got to volunteer on Field Day to see my sons compete. I still think back to when my youngest was in preschool three days a week and I decided to accept a 5-day position at school. My mom watched him on the two days I was working, and I know that was wonderful for both of them. 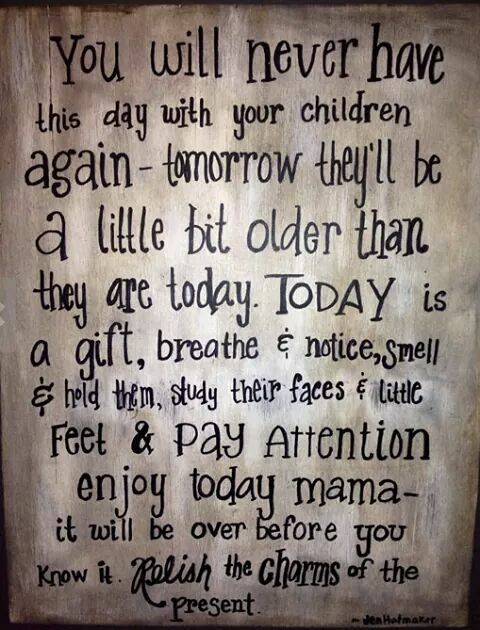 My mother treasured that time, but those are days I missed and will never have back. He is ten now and I still think about that, so, yes, it's weighed heavily on my heart ever since. I was home with his older brother, and feel guilty he didn't receive the same time. When I resigned this past May, a colleague asked me if I needed to work - not in the financial sense, he emphasized - but for my mental health. I suppose that is yet to be answered for sure, but I know I am loving my new role as a full-time mom and know that I will have plenty of opportunity to work in the future. 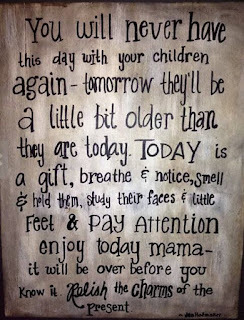 For now, I'm making the most of each day with my sons. My sons have survived the first three weeks of the new school year and I've survived the first three weeks of my new life. The first two weeks seemed unorganized and a bit hectic. They were filled with errands and chores that I put off until my sons were back in school. Those first two weeks left me wondering if I was actually going to have any time to work on MY goals during this hiatus. So, I re-evaluated my calendar and responsibilities and last week I finally felt like I had a grasp on my new routine - although, I'll admit, it's a work in progress. The key is to have a plan, make to-do lists, and map out errands based on location in town. 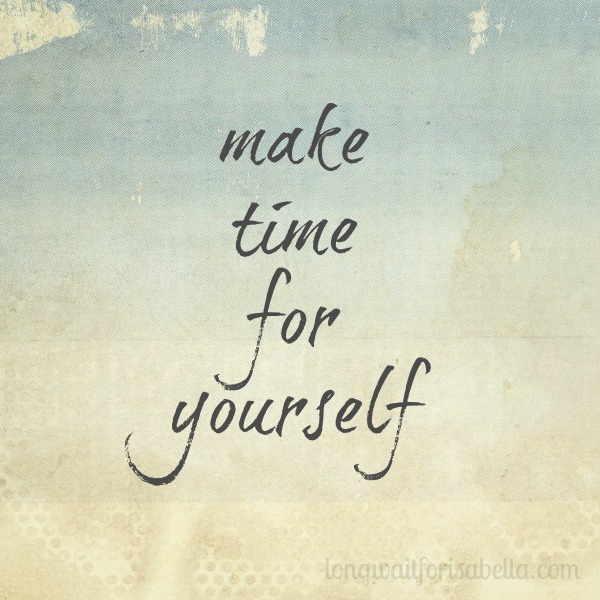 By being more time conscious, last week was happily filled with volunteer work, normal household duties, and even some wonderful, quality me-time. I even allowed one entire day to hang out in my pajamas and finish the book I was having trouble finding the time to complete. I managed to stay organized and managed my time much better. Allowing room for the the inevitable hiccup or two helped keep the stress levels down, too. As a mom, it's easy to put the needs of my children ahead of my own. To avoid putting my goals on the back burner, I realize I am going to have to consciously schedule time to actually work on them in addition to the daily grind. I'll need to set aside time to post new blogs, get my workouts in, and explore new interests. To help keep everything in check, I'm encouraging myself by acknowledging daily accomplishments no matter how small. I'm committed to outlining my daily routine the night before ensuring a balance between the mundane tasks and rejuvenating personal time. 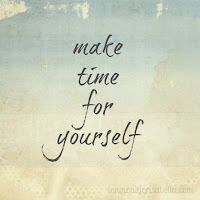 By not making myself feel I have to do it all in one day, I am more relaxed and I'm enjoying the time much more. I'm learning to accept my limitations, remain flexible, and make it a point to fit in time for family and friends. I'm looking forward to another great week! My local school district is phasing out the use of grades for students in elementary schools. First, let me say that as a former teacher AND a parent, I strongly believe in traditional grading for students. 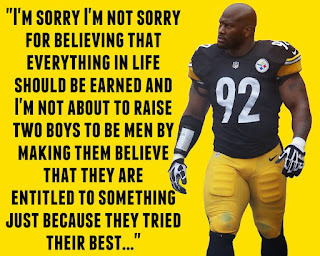 As a life lesson, I think children need to recognize that there are consequences for their performance in school which will translate into their work ethic as employed adults. Is this just another tactic by our education system to "dumb kids down" or perhaps to just be politically correct and not hurt anyone's feelings? Do we really just want our children to skate by? I understand the argument that we don't want to discourage students at an early age. Honestly, I get that. But, that doesn't mean everyone is an A student nor is every child gifted - and THAT'S OK. I can possibly be convinced to go to a rating scale of exceeds expectations, meets expectations, or below expectations for Kindergarten. But beyond that, it's time to go up against your classmates and earn your advancement. 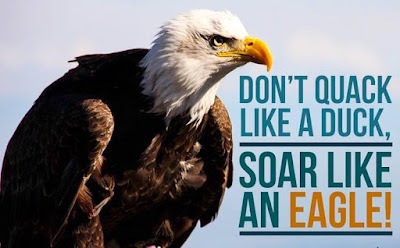 In a culture where schools aren't retaining students who need to be because it will look bad on their stats, we are creating a society where everyone believes they have the right to be rewarded for mediocrity. We see this in children's sports and now we're seeing it in our academic world. NOT EVERY STUDENT DESERVES A SCIENCE FAIR AWARD JUST FOR SHOWING UP WITH A PROJECT! A little healthy competition is good for everyone. Otherwise, we become a society of people that feel entitled to everything - oh wait, we're there already, aren't we? I'm reminded of the scene in Breaking Bad where one of Walt's students asks him to cushion his failing grade with the two extra points needed to pass a test. See what I mean about feeling entitled? Walt replies with the suggestion that perhaps the student just needs to apply himself next time. Ya think? Several years ago, a boy at my former school, was allowed to take reading class with the grade above his. However, some teachers and administrators put an end to that because they didn't want the older students to feel bad that this younger kid was at their level. To heck with them feeling bad. Maybe if they see there is a reward for working hard, they might put a little more effort into their own studies. My sons' school uses the controversial structure of Ability Grouping or "tracking." Students are grouped by academic skill beginning in first grade. They adopted this policy as a means to avoid students getting frustrated. If lower performing students are in a classroom with very advanced students, of course, they might feel a bit inadequate and give up (or act out!) But, if they are in a classroom with students that are their equivalents, then all of a sudden, they don't feel badly about themselves. get more individualized instruction, and perform better. That's the theory anyway. It seems to work. As a teacher, I love this philosophy because the brighter kids can be challenged instead of being "kept busy" while the average and below-average students catch up. As a mother of two boys who are above average, but by no means, super advanced students, I like that they have learned at an early age what it takes to do well in school and what our expectations are as parents. I'm not quite sure what is wrong with our education system today. It just seems that we are expecting more and more from our students, but, as a whole, our students aren't performing any higher. The end to a traditional grading system, however, doesn't seem to be the answer. I spoke with a dear friend of mine recently who is currently going through a transformation similar to mine. Professionally, she wants a change! She has been a successful freelance artist working from home for the past 20+ years. During that time, she, too, has been raising her two children and thankful for a flexible schedule. However, at 45 she desires a career change that will get her back into a traditional job setting outside the home. Among other things, she misses the adult interaction that comes from collaborating with colleagues. What is it with us 40-somethings that sparks the need for personal change and growth? It's almost like it's a last ditch effort to go for our dreams. In the past few years, I have friends that have gone back to college or have finally written the books they've always wanted to. Another not only got herself into the best shape of her life, but has turned her fitness plan into a successful business. Many others are exploring career changes, the possibility of starting a small-business, or finally getting involved in social issues that they are passionate about. Perhaps it's the fact that our children are growing up (or are grown) and we now have all this free time to devote to ourselves. This extra time gives us the opportunity to accomplish some goals, re-consider others, or simply create new ones. Whatever your passion, finding the time to get involved in it will only be a benefit to mind, body, and soul. This upcoming week I will be dedicating three days to the animal shelter that I've been volunteering at on Sundays for over a year. Part of my initial plan was to get more involved in the shelter. With my sons back in school I'm ecstatic that I am making this happen! The extra time donated to this cause that I hold so dear to my heart has me very energized and, I'll admit, creates a balance between the quiet "me time" I so crave and the need to have a purposeful existence. Whether you are in the midst of re-inventing yourself or haven't quite had the opportunity to begin your pursuit, I'd love to hear your story. What is the end product you're aiming for? What goals have you set for yourself? What challenges are you facing? Knowing we're not alone in this journey might just give us that extra nudge to follow the path toward our new lives.